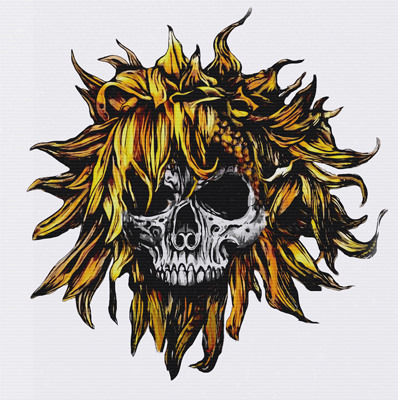 Featuring former Fear Factory bassist, Christian Olde-Wolbers, Coma is the latest recorded work from Californian rock band, Sunflower Dead. If you’re expecting chuntering, mechanical metal, however, sit back and prepare for a surprise. This is nothing like the aforementioned metal giants of the 1990s. Drawing in equal parts on nu-metal and 80s classics, SD have melded together a surefire concoction, utterly guaranteed for rotation on mainstream alternative channels. Big chunks of Korn, Dope, and Disturbed have been cherry picked to form a large part of the body of sound, but are equally matched by volumes of Skid Row, and Zakk Wylde (especially in some of the lead work shredding). Everything is further fleshed out with something else of the band’s own creation, plus a spritz of something akin to Pist. On. jamming with Sevendust. To my fans, friends, and associates… I would like to start the New Year by addressing the recent rumours and speculation regarding my departure from Slipknot. I want to make it very clear that I DID NOT QUIT SLIPKNOT. This band has been my life for the last 18 years, and I would never abandon it, or my fans. This news has shocked and blindsided me as much as it has all of you. While there is much I would like to say, I must remain silent to further details at this time. I would like to thank you all for your unwavering love and support, and wish everyone a very happy and healthy new year. World War 3′ is the third album from the Croatian groove metal band Cold Snap. It is the follow up to ‘Perfection’ which was released back in 2010. Ok, now before I start let’s just clarify one thing – there’s a thin line between groove metal and nu-metal. Most bands tend to stay on either side of that line and rarely do they cross over. There are exceptions to this rule with bands such as Devildriver making that drastic change towards groove metal/melodic death metal. Alas, this is not the case here. Oh no, make on mistake about it, this is nu-metal. The songs like to follow the same pattern as more renowned nu-metal bands such as Disturbed, Slipknot, System of a Down, Papa Roach and even, dare I say it… Korn. Take the tracks Rise Again and Monster for instance, they sounds almost like a homage to Korn. Both of these feature the same stop-start, ”groove” guitar patterns and clear vocals that occasionally switch between whispers and shouts. I don’t even know where to begin describing the problem with Freedom; it’s clearly a filler track which sounds like somebody scratching an already badly damaged vinyl disc. There’s no vocals, guitars or even anything remotely resembling a musical instrument on there. What a waste. The rest of the album pretty much follows the aforementioned pattern. The only song that comes close to groove metal is the first part of the ballad ‘My Emptiness‘, sadly that’s not enough to redeem the album. Nothing new here, just another band trying to revive a genre that should have died a slow death in the early part of this century. Please stop! The UK’s capital, London, is a breeding ground for bands – metal bands in particular – and Tyrian are no different. Fronted by The CockRockets drummer and solo artist Tom Ussher, Tyrian have been on the scene for some time now, blending hard rock, punk and nu-metal into the weird melting pot that is Seek Medical Advice. The experimental nu-metal stylings that up Destroy opens up the album with plenty of technical licks and raw punk vibes where as Ashes beats out catchier melodies and infectious vocal hooks – the verses themselves being as memorable as the chorus. Reborn is a subtler track that draws out Tyrian’s hard rock influences and use of dulcet guitar passages. Waves of eerie riffs open up Forbidden before it begins sailing down the more hard rock orientated sound – Something that really brings out the emotion in Tom’s voice. Sun Don’t Shine portrays the solemn sound of Tyrian’s music and lyrics, gently releasing a slow and dreary guitar passage. Even though the pace picks up the dreary sound still pours sound like falling rain. (Empty) acts as an interlude, being composed of a monologue. Obsession changes the whole sound of the album, bringing back the experimental nu-metal soundings that first began the album whereas Inside My Mind has a calming use of guitars though the lyrics and vocals greatly contrast against the acoustic guitar. Paralyzed has a mesmerising hook in the riffs and the vocal melodies, making it somewhat eventful compared to some of the previous tracks. Hell’s Throne ups the level of aggression on the album, throwing out beastly riffs and vicious bass work while the drums lay the cumbersome foundations for the song. Psychotic finishes the album in a truly violent way, bringing down claps of thunderous bass and snarling guitars with fierce, overwhelming vocals. 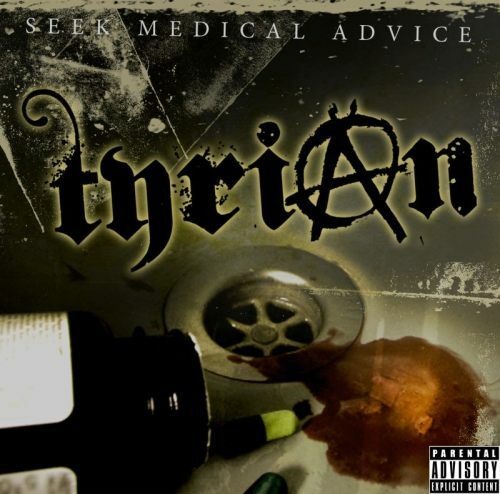 Seek Medical Advice is an interesting album, to say the least though the multitude of genres that Tyrian cover in one whole album can be quite hard to get grasp on the first few listens but it does display the musical genius behind each member of Tyrian. “Experimental Nu Metal” was the closest to a conventional genre that I’ve come up with. Using the band’s own words, they play “Nu Art Metal” and that basically means that they pick the nu metal basis and entwine it with progressive lines, resulting in odd experiences – hence my choice of calling it “experimental”. The first track, “Iceland”, is a bit deceiving regarding the energy that’s about to come throughout the rest of the album. Despite being a good song, each instrument leaving its mark, the rhythm is quite melancholic, a ballad of sorts. And so, at the same time, it shows you how out of the ordinary these Russians are – how often does a metal album start with a ballad? Starts and ends, as the final title-track also unfolds at a soft melodic pace. “L.M.A.”, which stands for “losing my angel”, gives you a clearer picture of what Crimson Blue are about, with a sharp dissonance toning up those modern riffs. Singer Dani Hellstrom’s voice goes a little higher, but fortunately doesn’t reach the soprano peak that puts her in that category. In fact, she only brushes the border of that tone for brief seconds, during the title-track. But given the strength and steadiness of her trained voice, you cannot doubt that she is in the soprano rank. And those keys you listen to are also in her charge, through the means of a keytar. “Clouds” is quite an indie tune, while “Flax” and “H.U. Lab Experiment I – The 6th Sense” get my vote for best prog tracks in this album. And “Haesitaio” deserves kudos for its fierceness. 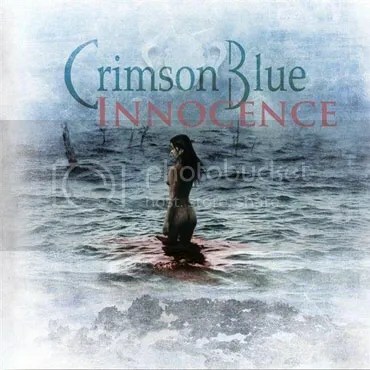 “Innocence” is probably a little too avant-garde for the majority of the listeners, but it’s definitely a treat to those who appreciate this kind of musical journeys. 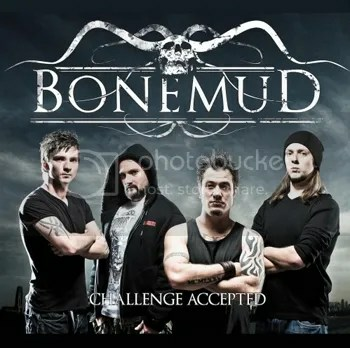 I’m not sure when Bonemud was formed, but I’m guessing it wasn’t that much before the release of their debut album “Tokoloshe”, in November 2010. It seems their line-up wasn’t very stable though – apart from founders guitarist Remi Makulec and singer Scott Allen – until late 2011. In January 2012 the band claimed to be “stronger than ever” with Nick Shaffer on drums and Thom Wood on bass and this “Challenge Accepted” is here to prove so. I labelled them as “rapcore” because it’s how they’re commonly known as. But then I had to add a broader term – “metal” – because if the first track, “Homiez”, leaves no doubt about its rapcore/nu-metal nature, the other three reveal much more than that. Right up next comes “Lil’ Whore”, which is a strong I-don’t-want-to-love-you ballad and could have been performed by a modern rock band. I’m not saying this in any derogatory way – by the contrary. It’s a catchy song, with cranking but melodic riffs, and totally different from what you’d expect from a rapcore band. That’s what I meant before – they’re capable of playing all kinds of genres and subgenres of music. Then “Something I Am” goes back to the nu-metal path, the one that’s closer to the industrial neighbourhood. At least in the first minute and half, before the first chorus, you hear an enhanced electronic structure and heavy beats. And the best way to describe “U&I” is alternative metal – nothing “core” about it, but too harsh for rock-something. Not sure if a whole album will work with this formula, consisting in no formula at all and every song pushing into a different direction. But in a 4-track EP you don’t have time to get confused and such a “mess” of elements and subgenres becomes kind of interesting. Godlike is a new Finnish band. Malicious Mind is their debut album. As soon as you start playing it you guess the kind of influences they have… Made me have a regression to the early 2000’s. With strong nu metal references mixed with melodic death, kind of in a Five Finger Death Punch way, they manage to take that Limp Bizkit sound and put make it sound a bit fresher. The album goes down the nu metal road the first 4 songs. In Original Rebel takes a turn more to the death metal side with heavier sounding elements on the music and a song theme that made me think of Destruction’s The Antichrist. Then comes Shi No Negai and stirs the album back in the previous direction. The album doesn’t have a central topic that the songs revolve around, at least an apparent one. Some songs talk about the Catholic Church and the original sin, same others talk about this chick who is a hot mess, or how someone betrayed them. I find these last ones extremely cheesy but they melody and rhythm are quite catchy. The album sounds solid and like an album made of t best songs they wrote during the years. I am a bit excited to see how they do next, for I believe their next album will be deciding on their future. I am not such a big fan of this kind of music, but keeping an objective eye on that aspect, the album is not bad.